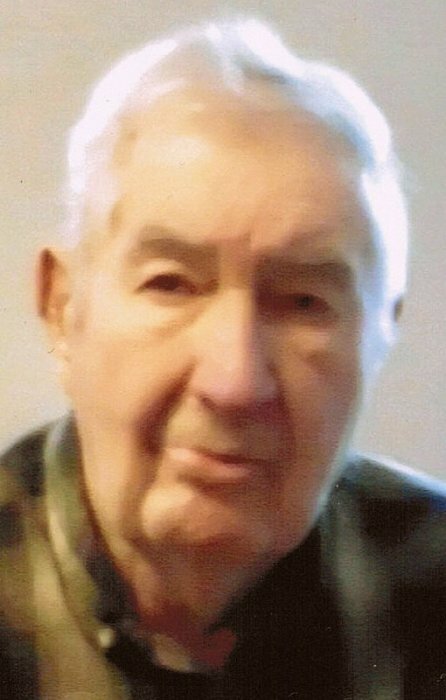 Donald C. Horinek, age 93, of rural Wabasha, died Tuesday, May 8, 2018 at St. Elizabeth’s Nursing Home in Wabasha. He was born March 29, 1925 in Newkirk, OK, the son of Louis and Christine (Vap) Horinek. He served his country during WWII in the U.S. Army, serving in the Pacific and Japan from 1944-1946. He returned to Newkirk and began his 35 year career at International Multi-Foods there. He married Alicina Bliss in Newkirk and they had four children. They later divorced. He married Norma Sue (Crain) McCurry August 7, 1957 in Des Moines, IA. The couple moved to rural Wabasha in October, 1976. Don retired from International Multi-Foods as an engineer and maintenance supervisor September 1, 1984. He was a life member of the Wabasha American Legion Post #50 and the Burkhardt-Roemer VFW Post #4086. His interests included restoring antique cars and gardening. His greatest joy was spending time with his family, especially his grandchildren. Don is survived by his wife, Norma Sue Horinek, Wabasha, MN; children, Bruce Horinek, Newkirk, OK, Dona Kisabeth, Norman, OK, Kenneth (Julie) Horinek, Kearney, MO, Ronald Horinek, Lake City, MN; step-children, Mike (Shirley) McCurry, Ponca City, OK, Patrick (Ann) McCurry, Blackwell, OK; grandchildren and great-grandchildren; brother, Frank Horinek, Newkirk, OK; nieces and nephews. He was preceded in death by an infant daughter, daughter, Cindy Davis, son-in-law, Jerry Kisabeth, brothers, Robert and Martin Horinek and sister, Joan Rouse. A funeral service will be held on Monday, May 14, 2018 at 11:00am at Abbott Funeral Home in Wabasha with Deacon John Hust officiating. Interment will follow at St. Felix Cemetery. Military rites will be performed by the Wabasha American Legion and VFW Posts and the MNARNG. Family and friends may call at the funeral home on Sunday, May 13, 2018 from 4-7pm and one hour before the service on Monday. Memorials are preferred to Mayo Hospice-Wabasha Chapter or to St. Elizabeth’s Community Development Foundation - both located at 1200 5th Grant Blvd. W., Wabasha, MN 55981.